Our Circulating Fluid Bed (CFB) Scrubber efficiently captures all acid gases, metals and particulate matter down to the lowest levels. It is a versatile and flexible technology that can clean up flue gases from boilers and industrial processes using the least amount of water and project capital. 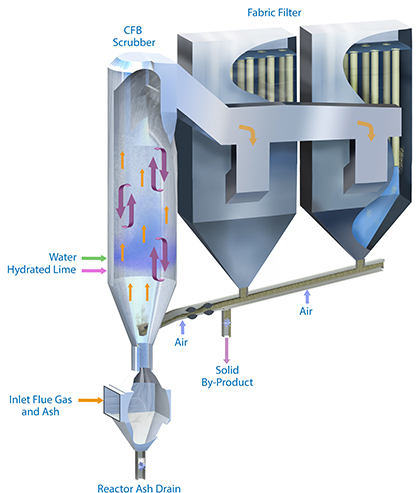 If you do not need a full scrubber, we also offer advanced baghouse technology to reduce your plant's dust, metals, and acid gas emissions.